So the law has changed, your employees (provided they have been with you over 6 months), now have the rights to ask you for flexible working. Does it mean that Nick in engineering will be clamouring to play golf on Wednesday afternoons? Does it mean that Steve will be finishing early most days and working from home more? How can you allow people to work flexibly and safely? How can you know for sure they are working and doing what they say they are? Natural worries for sure, we are going through the same thing here. We understood the importance of Flexible Working and have been running seminars in conjunction with Mitel and Avaya this summer looking at this very issue. Check out our events page on our website for more information on those. It is important to note obviously that the ball is still in your court on whether you allow them to work flexibly or not, but don’t just dismiss all cases off hand. Improved Morale – nobody likes to be micro-managed or controlled (not saying you are doing that by the way, just stating a fact) and so by showing that you trust your employees it will make them feel more valued. Give your employees the opportunity to spend more valuable time with family etc. and watch them reward you in return. Increased Productivity – conversely to what you may think, we have seen increases in productivity as people feel free to work how they want and when they want and are more productive as a result. More Creativity and Great Ideas Happen – following on from the first two points, being happier and more productive encourages creativity and it has a habit of being contagious. Lowering Staff Churn – The costs of finding / training new staff can be huge and keeping staff happy any on board is a sure fire way to increase success rates for your business. Retention was stated as the biggest benefit of flexible working in a survey conducted by CIPD. Here are some helpful pointers and some advice to help you allow your staff some freedom and ensuring that you still get what you expect from them. Twin their mobile phone with their desk phone. This provides a single contact number for your customers/business contacts and means that if they are at their desk or not they will remain contactable, simply. Microsoft Lync, Mitel UCA, Avaya`s one-X or even Skype can help you see who is available around the organisation, wherever they are. This type of functionality has some great benefits too as it can help save time when trying to arrange meetings too. Next Generation Networks. How are your networks currently configured and is it easy for people to access remotely and work from home? This can be a headache but with such great developments in technology it isn’t as hard as you think. The Cloud. As mentioned above developments in the Cloud can make accessing the network and business applications as simple as plugging in to the internet. Performance Measurement. Rather than sticking to hours worked in the week, perhaps think about whether you could employ performance related measures to ensure that staff are fulfilling your requirements as a business? If you knew that at the end of the week the work was getting done, how important is it to you when that work was completed? BYOD. If you can incorporate your employees’ devices into your networks, you may just start to see them taking more work home with them too. We have seen it work brilliantly here – our employees are comfortable on their own devices and take them with them everywhere they go… And I mean everywhere. SIP Trunking. Allowing for free calls between sites and enhancing the capabilities of your network, SIP is also cheaper than traditional ISDN lines. To find out more about exactly how else SIP could help your business, take a look at our whitepaper which looks at the benefits and realities of this excellent technology. The idea of Flexible Working conjures up all kinds of fears: Are they working? What are they doing? Can I trust them? With the right tools and implementation though it isn’t as tricky as you think. What are your current challenges? 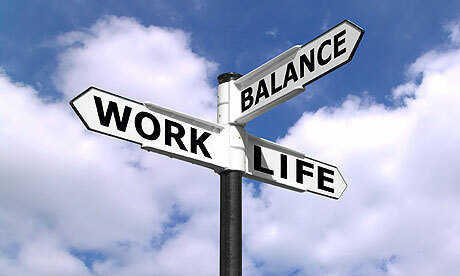 Are you allowing your staff flexible working? What results have you found? Check out our Flexible Working initiatives and solutions and get in touch with us here to discuss your needs. And don’t forget to head to the Acas website for all the rules and regulations regarding this change.